POLICE say their efforts to find out whether a huge fire in West Belfast was started deliberately remain “inconclusive” – despite the emergence of CCTV footage showing a man at the scene in the dead of night minutes before the blaze carrying what appears to be a power tool. CCTV footage, seen by the Andersonstown News, shows a number of males in what appear to be boiler suits arriving at the Spar shop on the Glen Road at 2.41am on the morning the fire broke out, January 17. In the 20-minute footage – which the PSNI have also seen – one of the males appears to be holding a power tool, possibly a drill. The men are still on the scene at 2.55am and the camera first detects smoke billowing rom the shop six minutes later at 3.02am. West Belfast MP Paul Maskey said “massive unresolved issues” remain over the shocking incident which he described as “an outrageous attack on our community”. “It is quite clear from looking at this footage from one of the nearby shops that suspicious activity was involved. 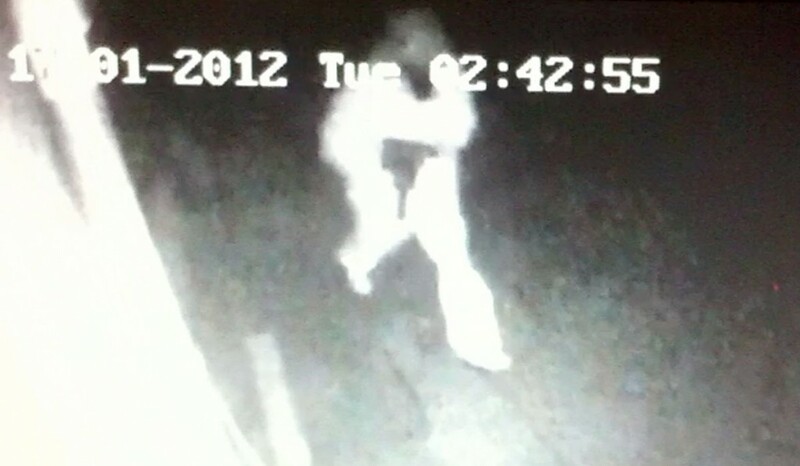 One male appears to be holding a drill and then moments later you can see the glow of a fire starting in what appears to be the back of the building. “It was later that morning that a pipe bomb attack on the PSNI brought the entire Glen Road to a standstill,” he said. The fire, which took place three weeks ago, destroyed the premises and left 30 people without jobs. Speaking to the Andersonstown News at the time, proprietor Liam McMahon said it hadn’t been made clear to him yet whether or not the fire was started maliciously. However, yesterday, after having viewed the CCTV footage, Mr McMahon said he was “disgusted” and that his former employees were still out of work. The news comes just over a month after the PSNI in Derry were forced into an embarrassing U-turn after they initially said a blaze at a GAA club was not being treated as suspicious. The PSNI’s statement followed Sinn Féin’s Raymond McCartney producing CCTV footage which clearly showed masked men outside Seán Dolan’s GAA club just before the fire started in December. That incident led to allegation that police were protecting those involved in the fire and led to a review of the investigation. “To date no-one has come forward or been arrested for this attack on our community and the PSNI need to clarify whether this fire was suspicious or not,” added Mr Maskey. “It is clear to anyone who has viewed this CCTV footage that there was suspicious activity here and that should have been investigated by now.